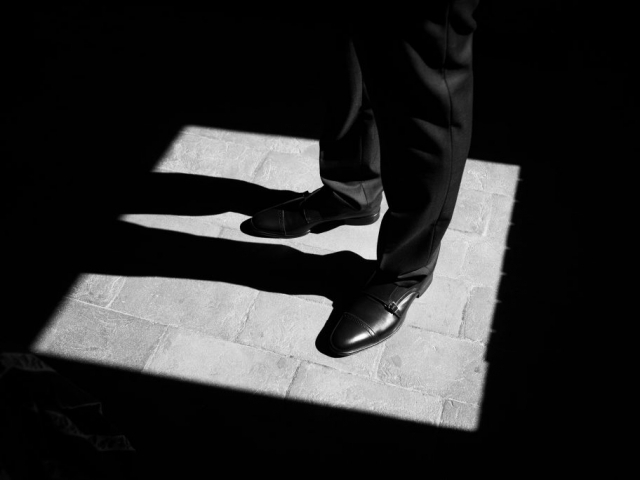 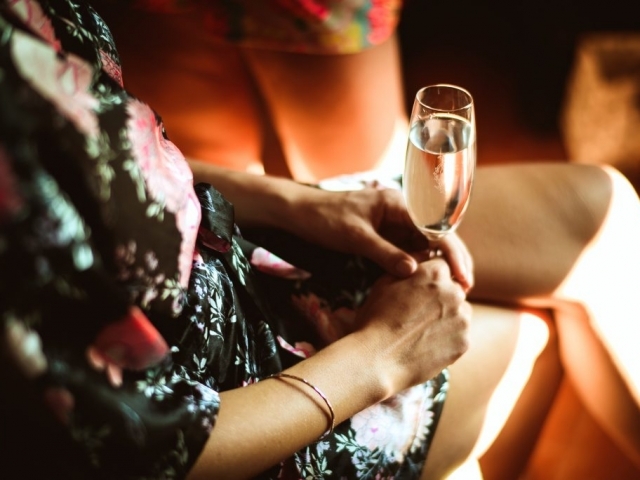 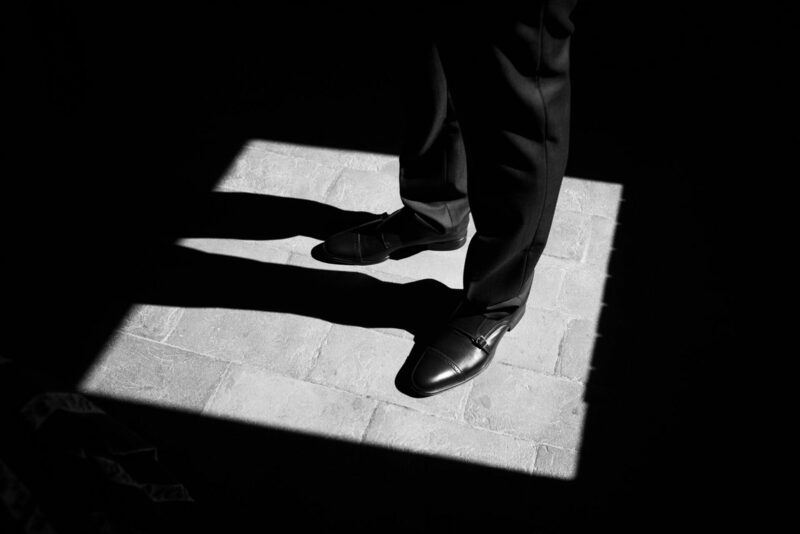 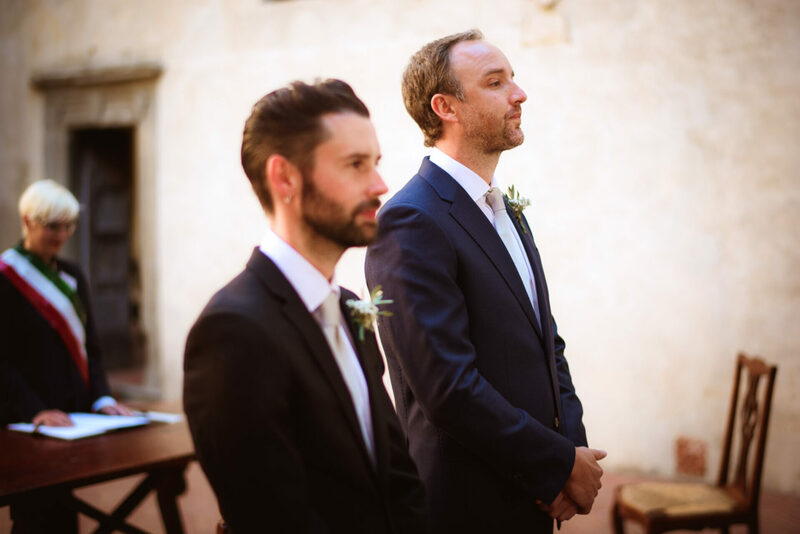 Deciding to hold your wedding at the opposite part of the world from where you seem mental to others not involved. 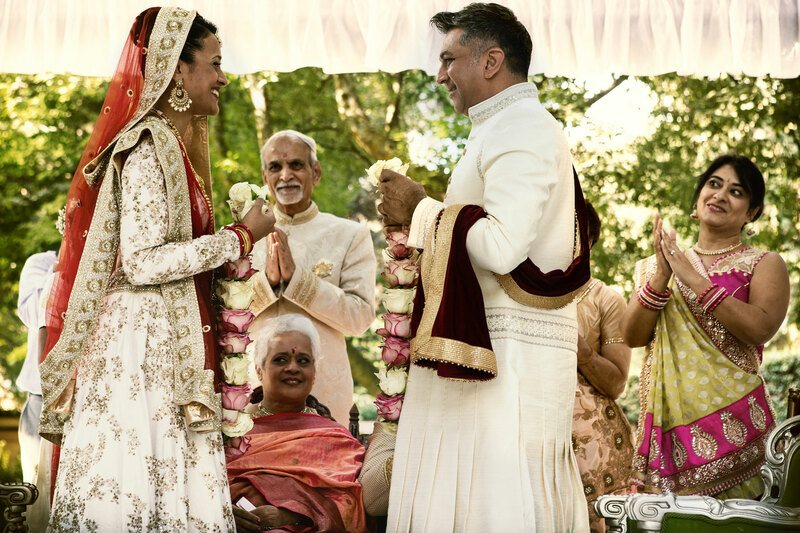 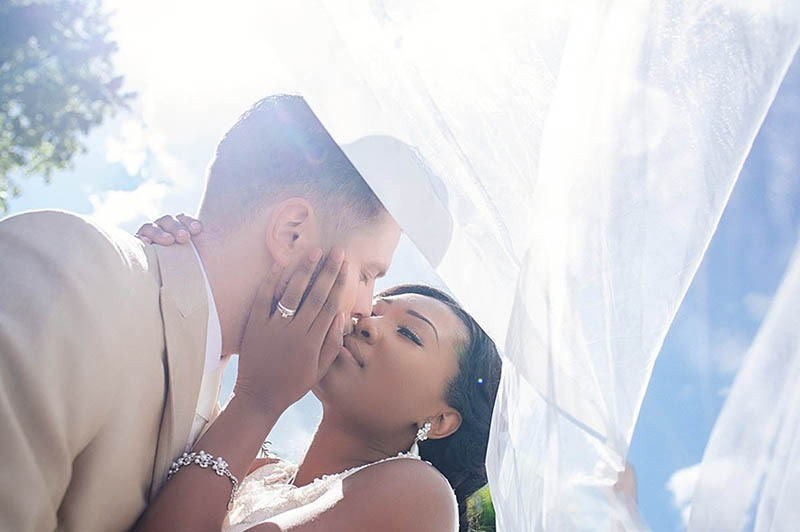 I know it as I have done the same for mine when I got married in Fiji islands. 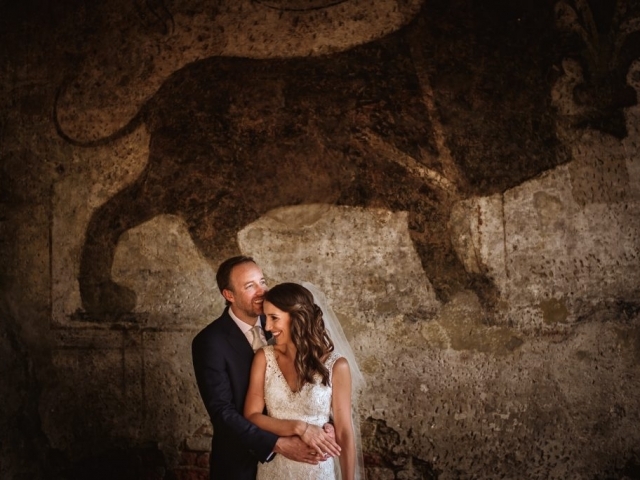 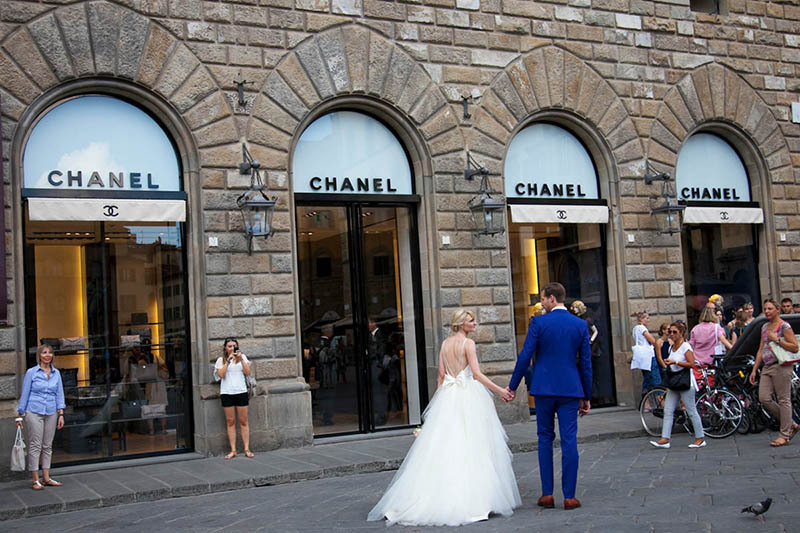 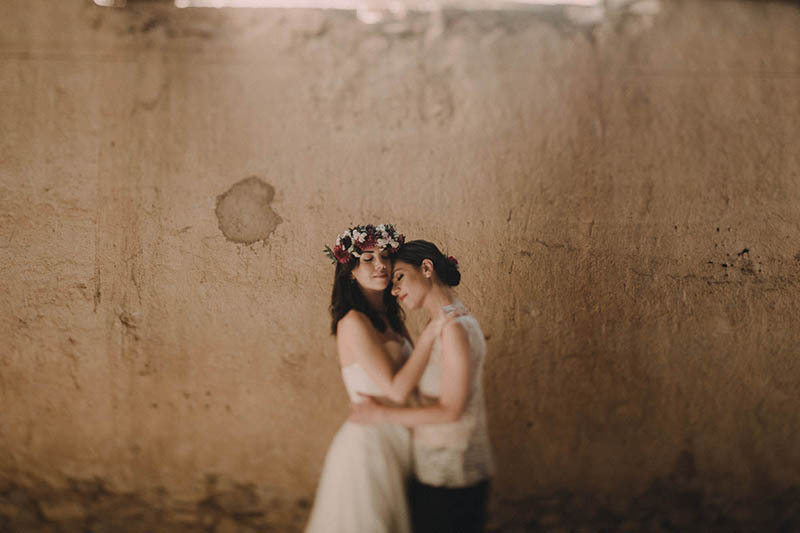 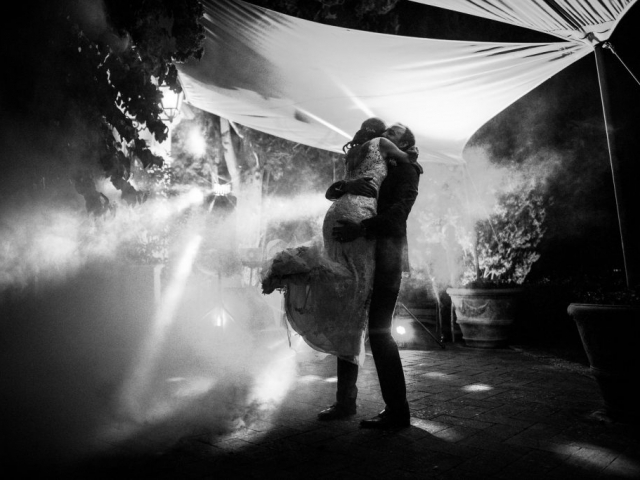 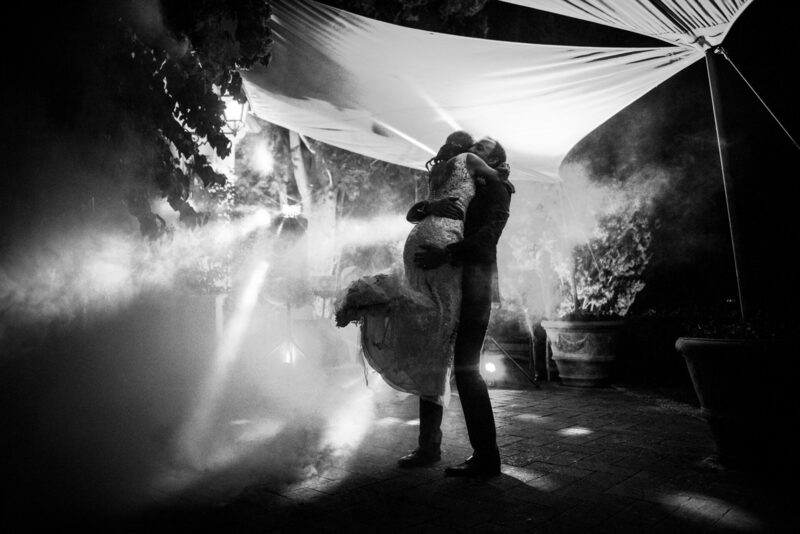 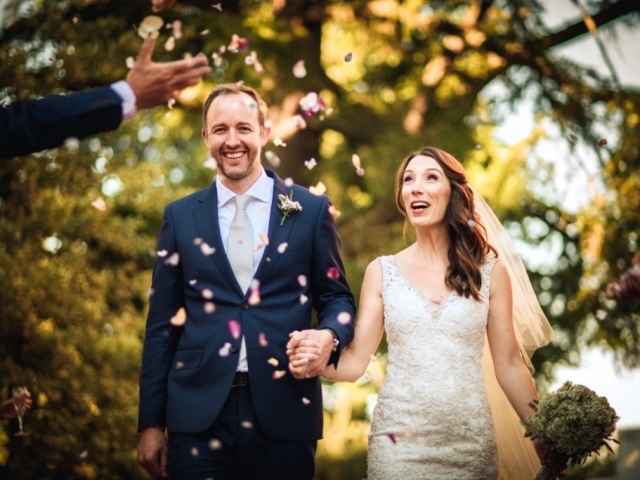 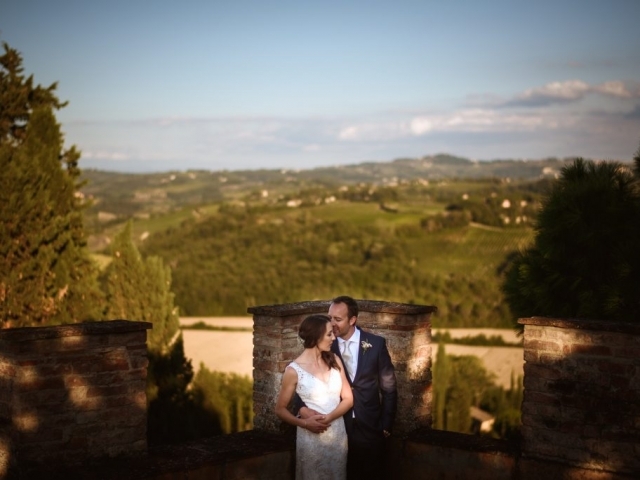 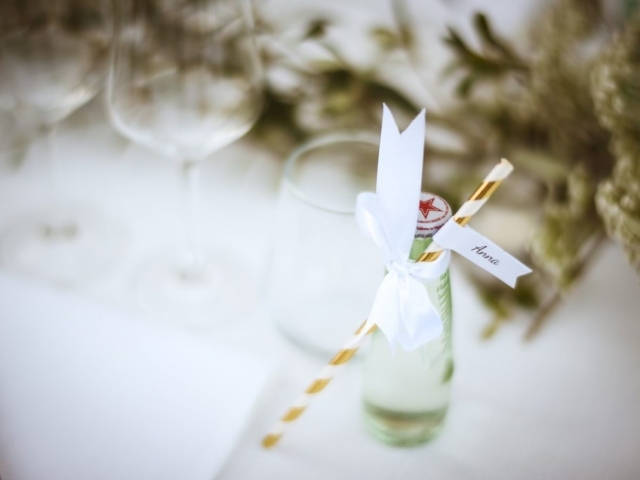 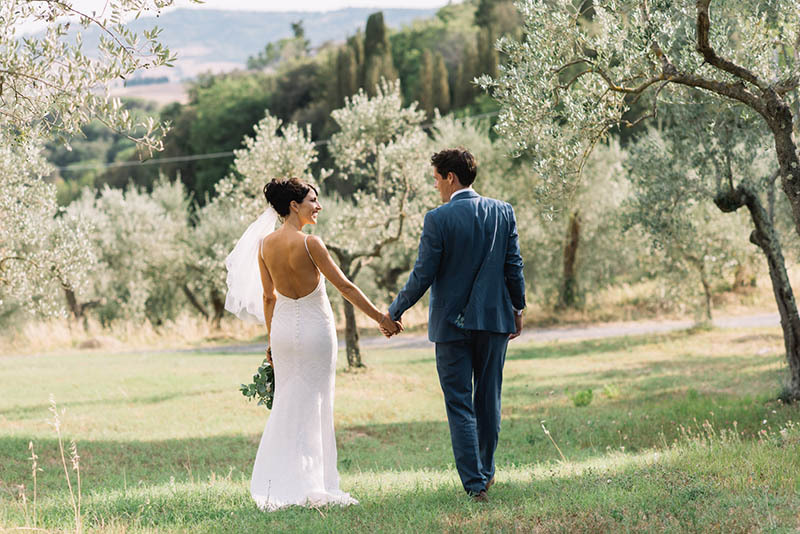 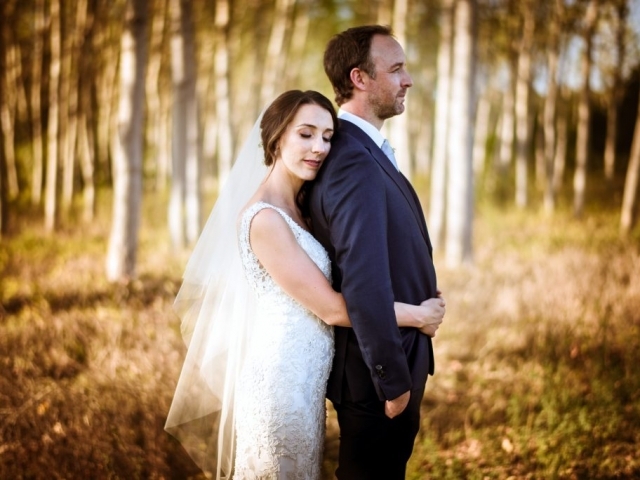 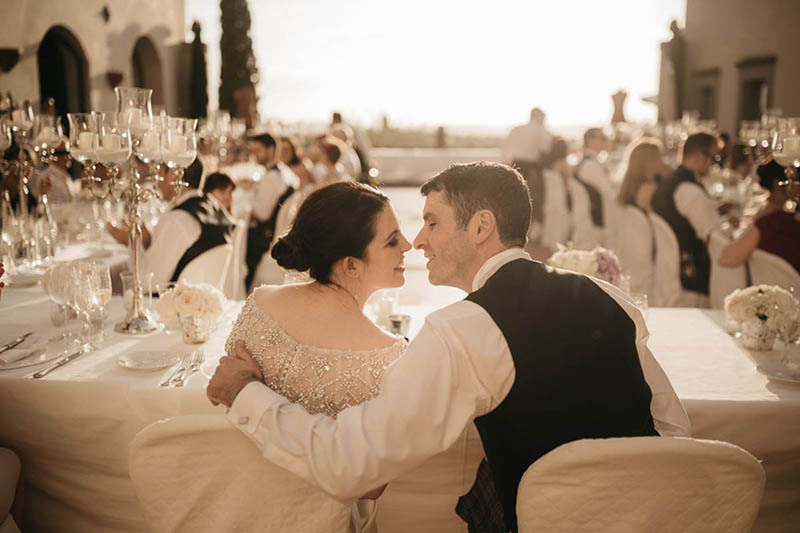 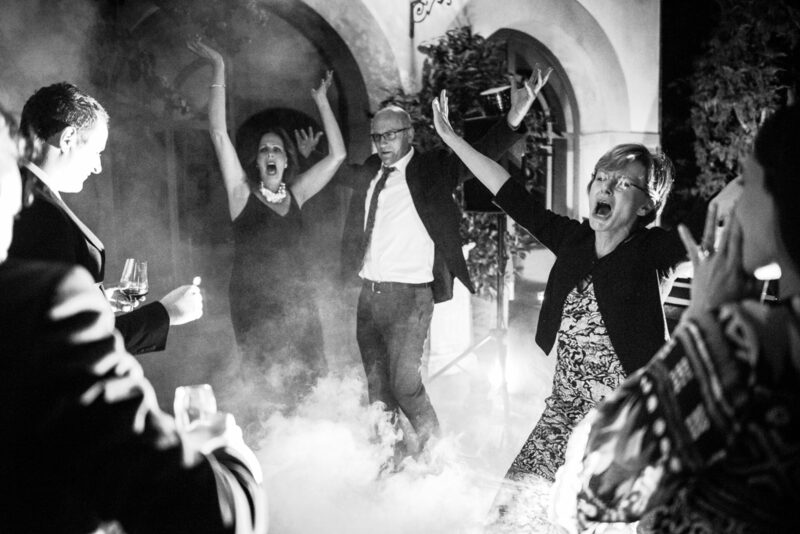 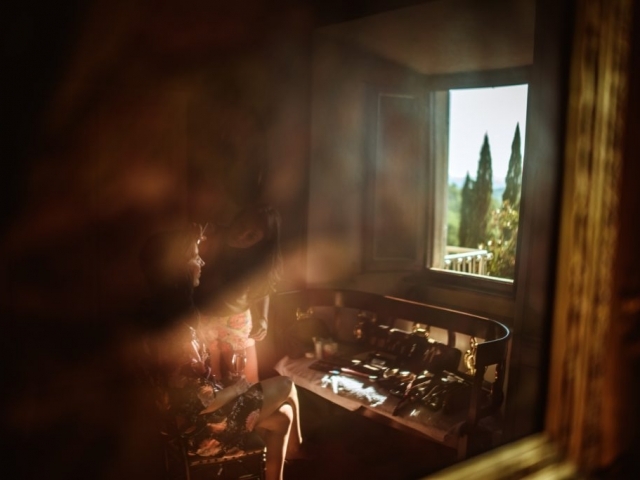 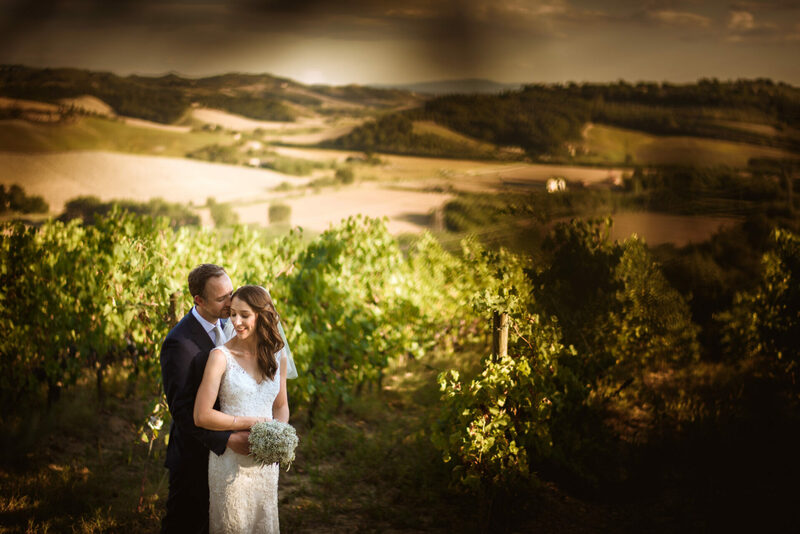 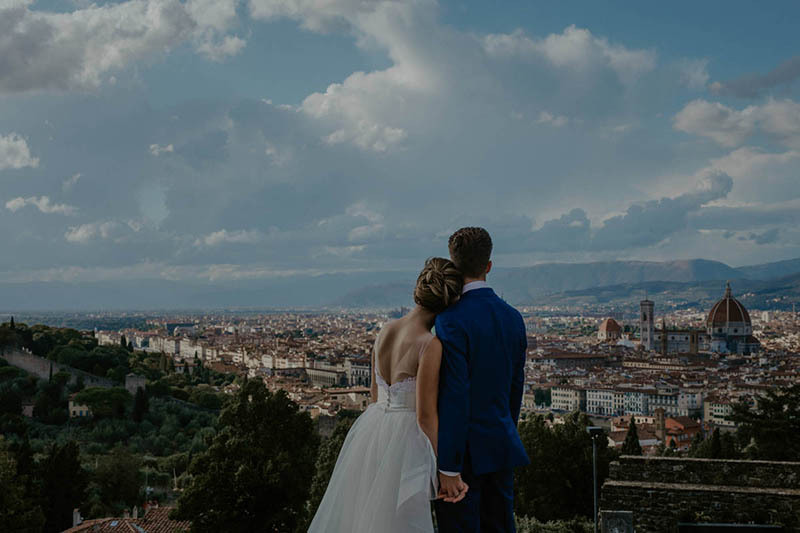 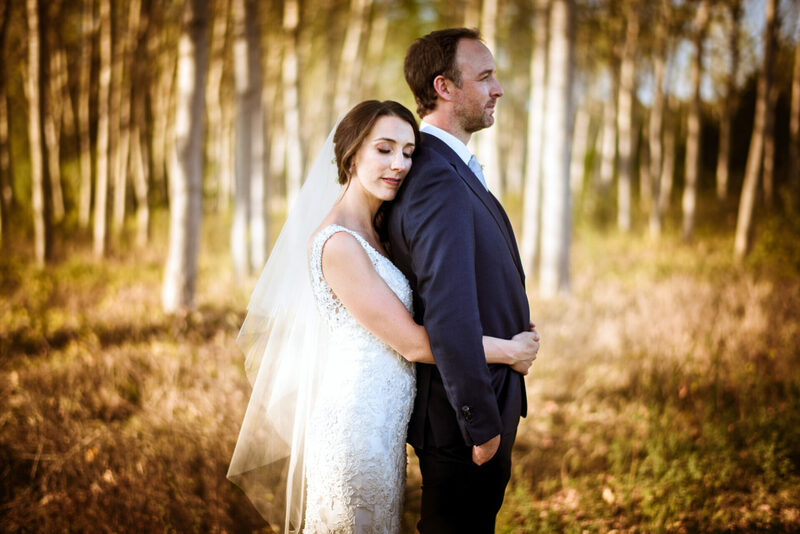 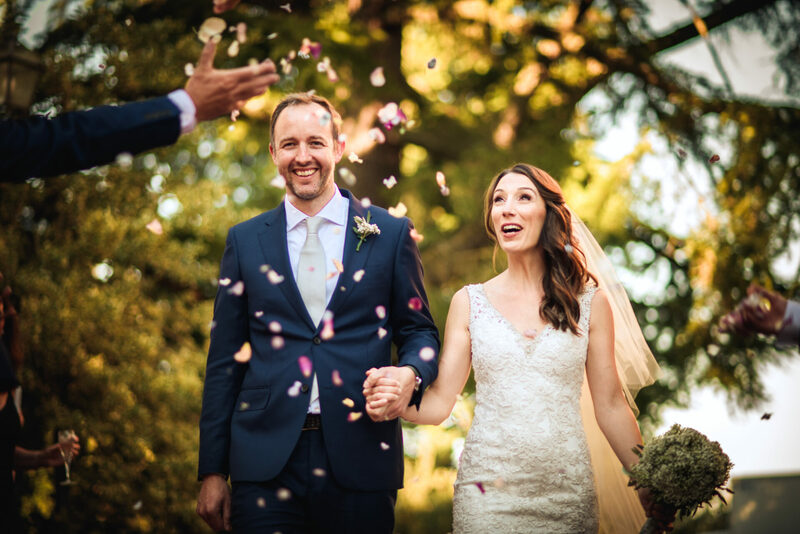 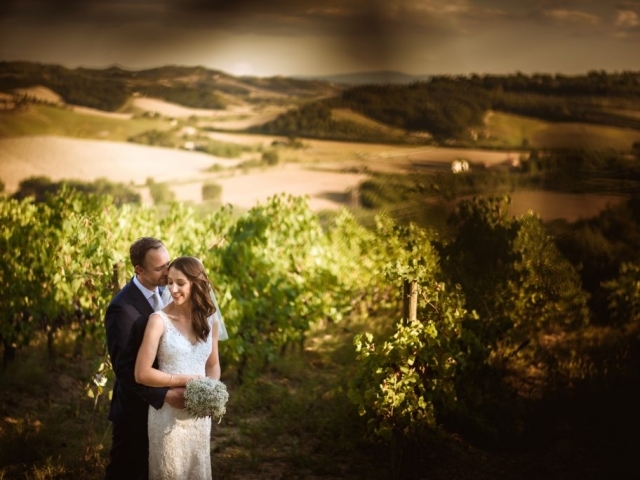 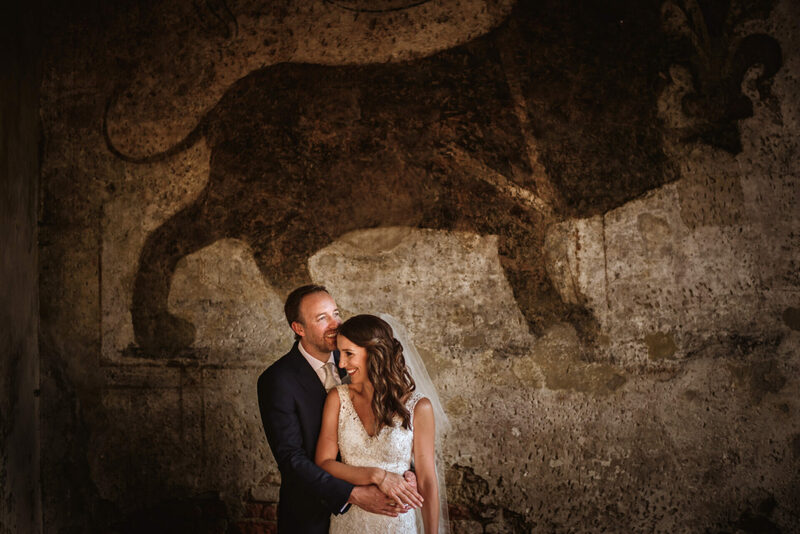 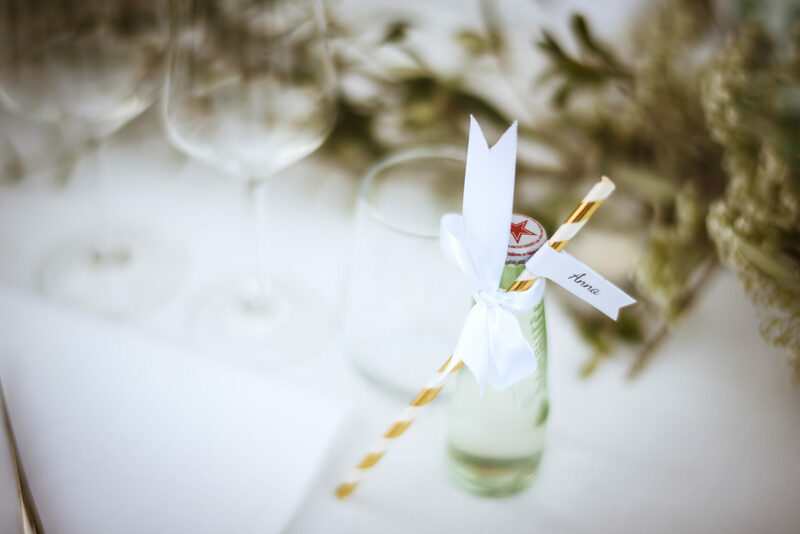 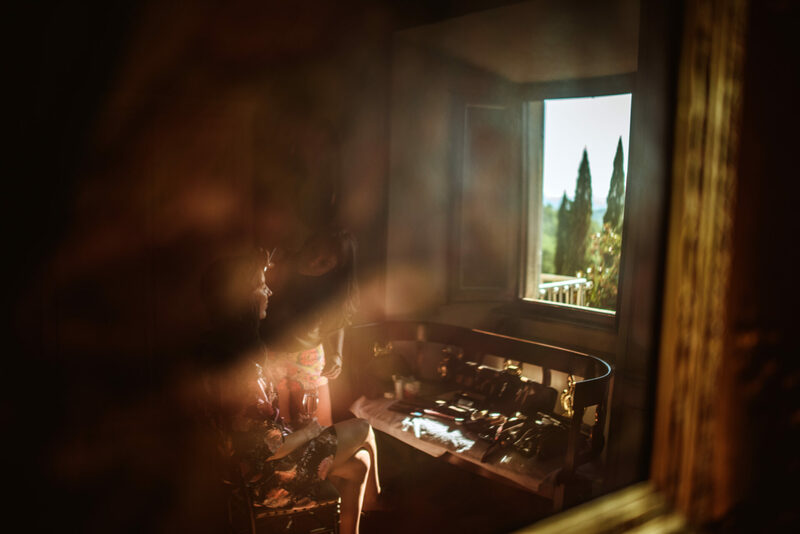 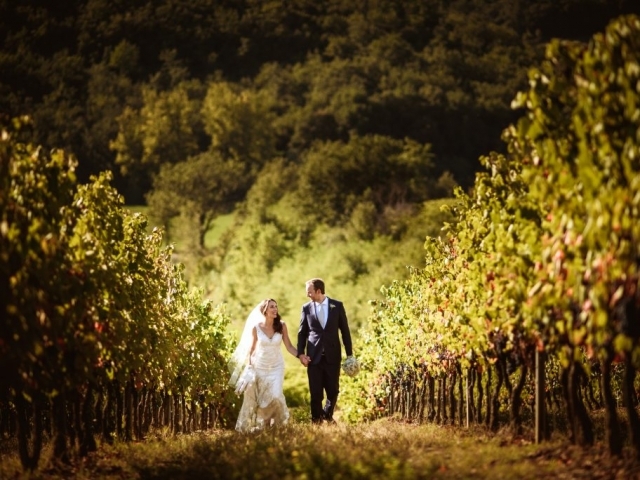 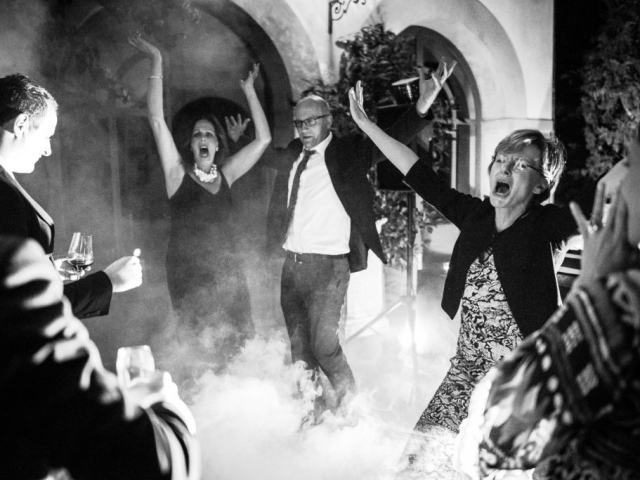 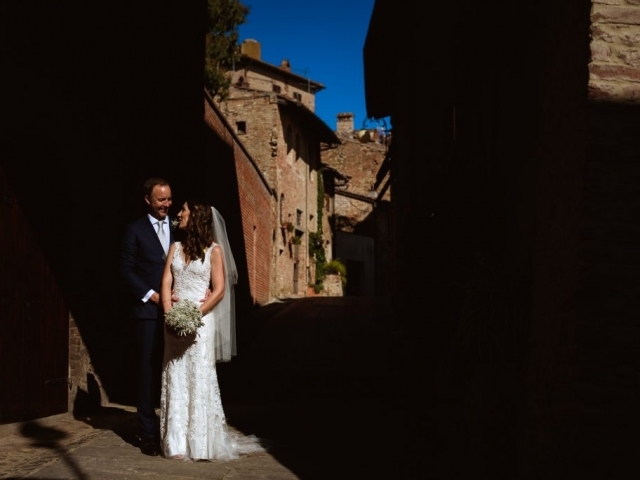 But I have found in Fiona & Hamish an incredible sense of serenity when they contacted me from the really far away New Zealand telling me they wanted a “Tuscan wedding”. 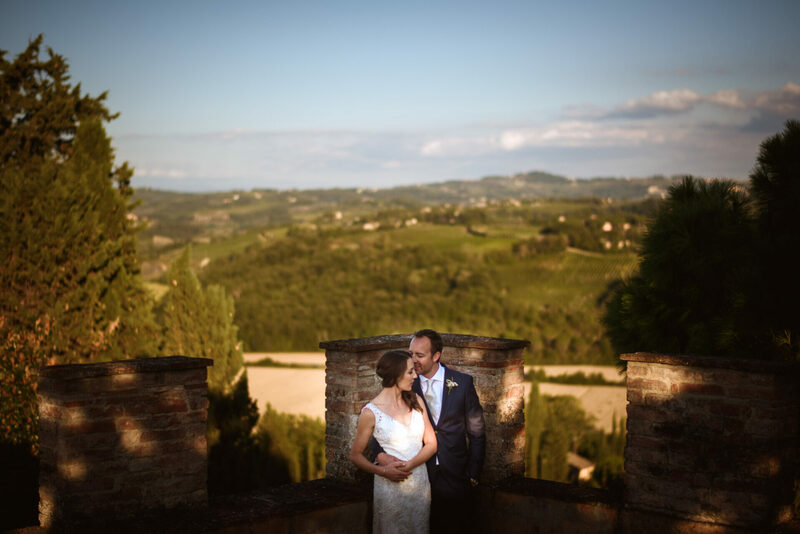 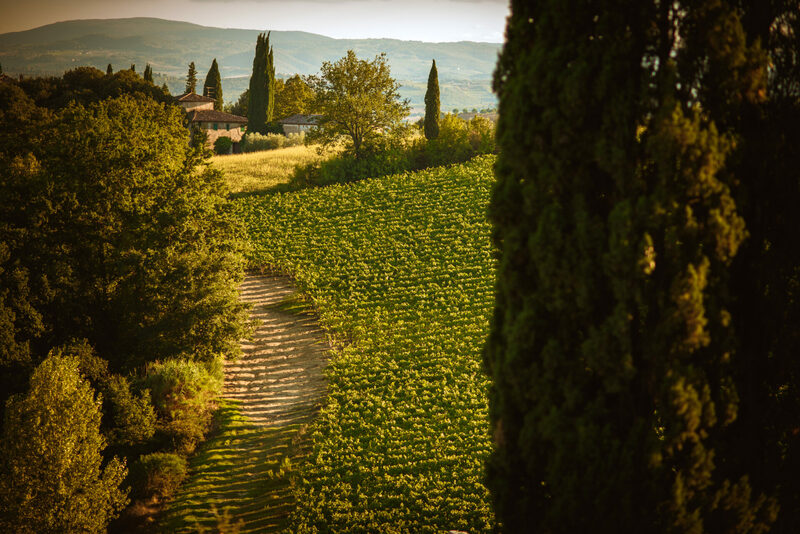 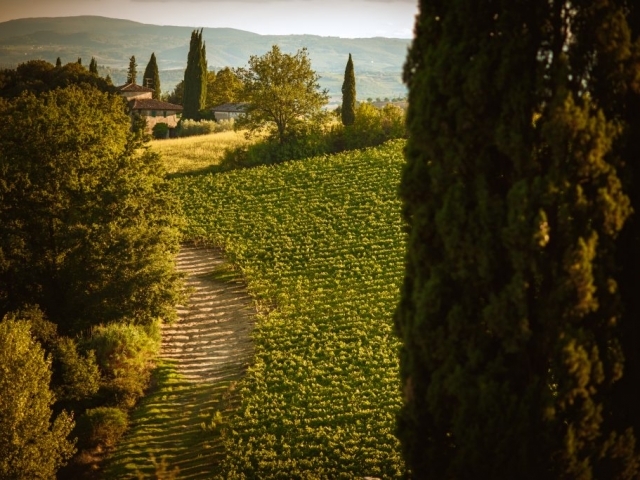 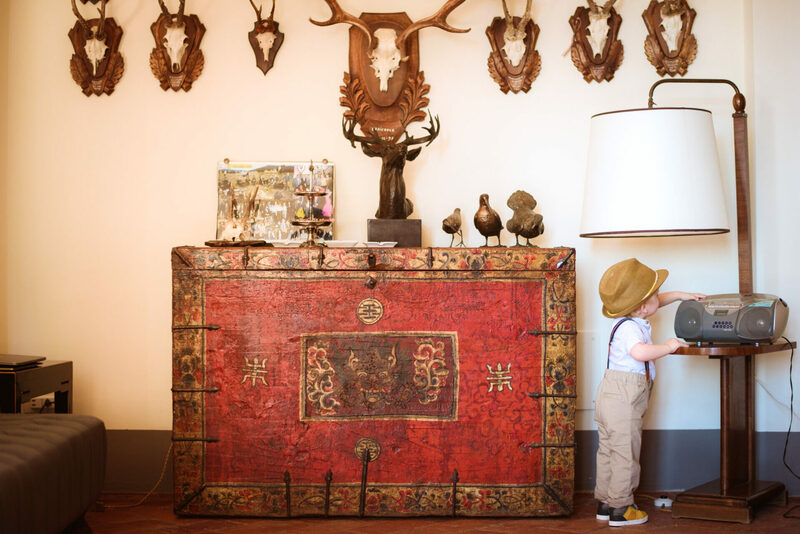 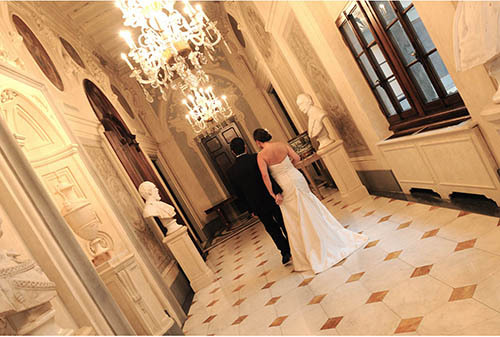 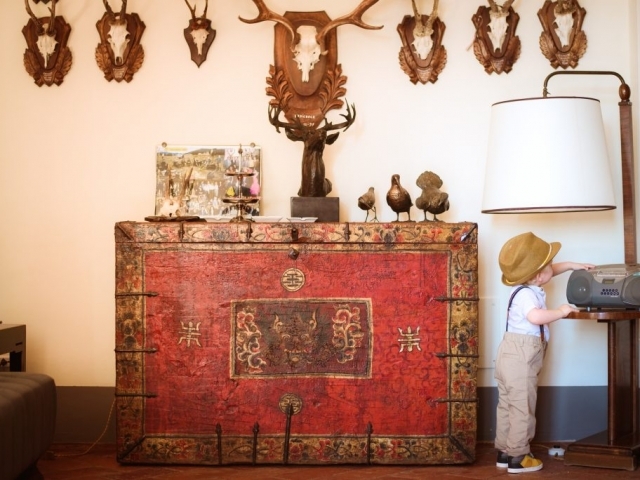 The Villa chosen for the stay and for the wedding reception is among the most beautiful venues in the Chianti countryside and it’s called Castello di Cabbiavoli having a history as a proper Castle, the landscapes where it’s immersed are among the most breathtaking view you can hope for a stay in Tuscany. 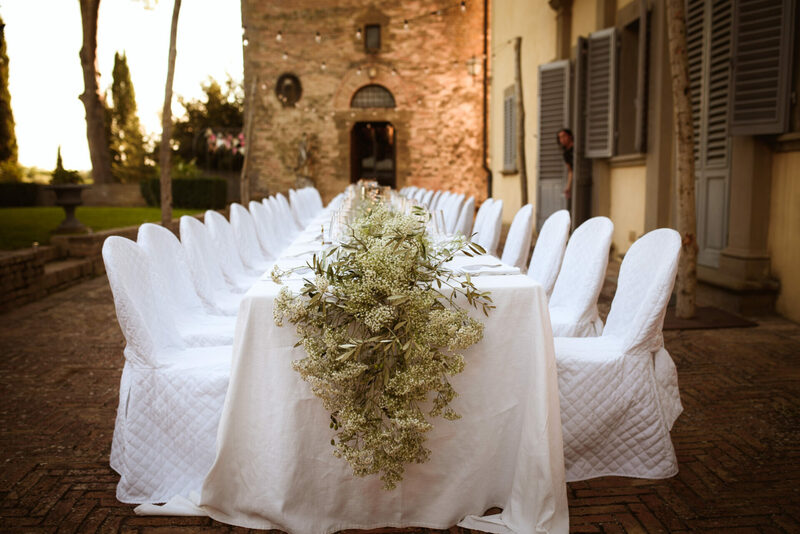 It’s a very intimate venue with only up to 20 guests capacity, but the court is just perfect to set up, as we did for Fiona & Hamish, a long imperial table with some romantic lights and a very Tuscan and easy full greenery made with baby’s breath and olive tree branches and some cute fairy lights to give a magical mood to the dinner. 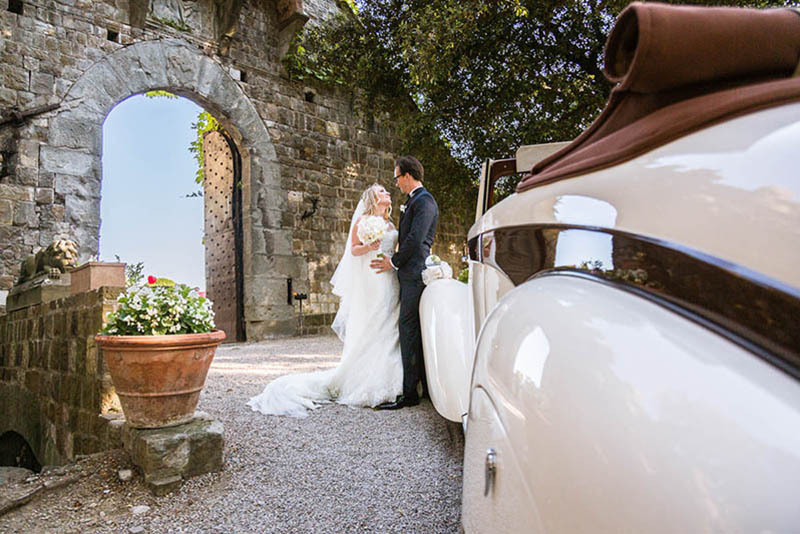 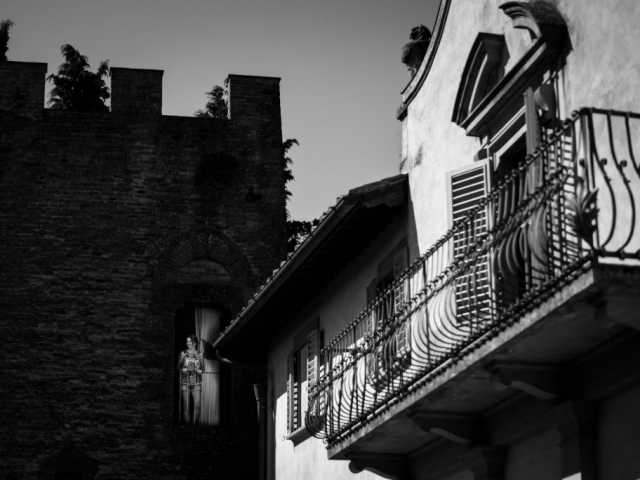 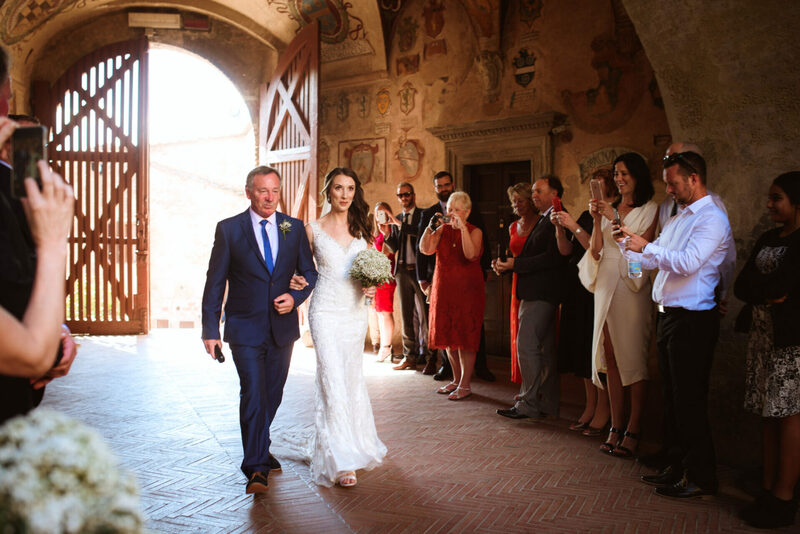 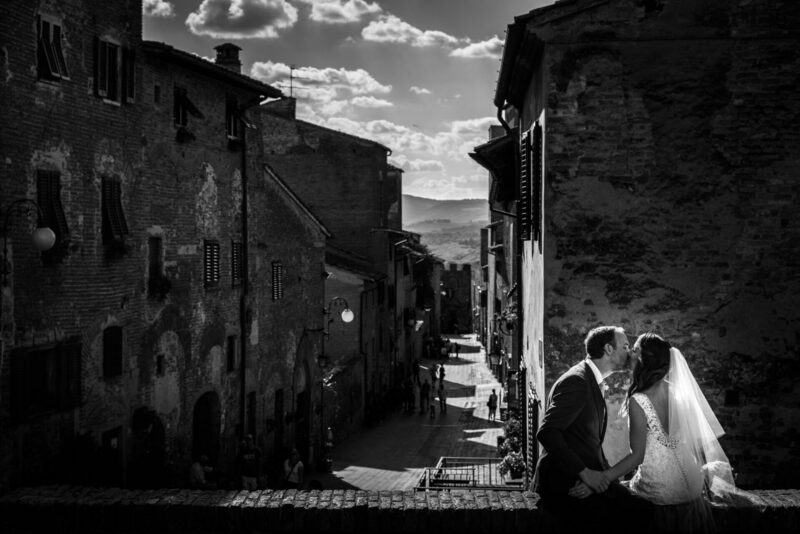 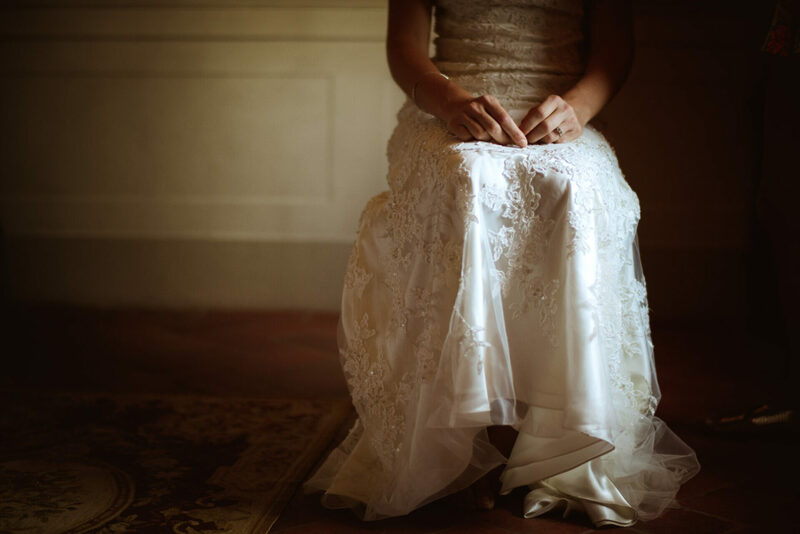 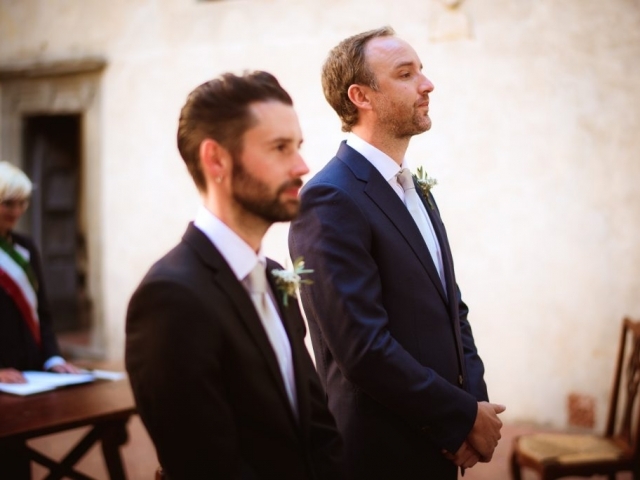 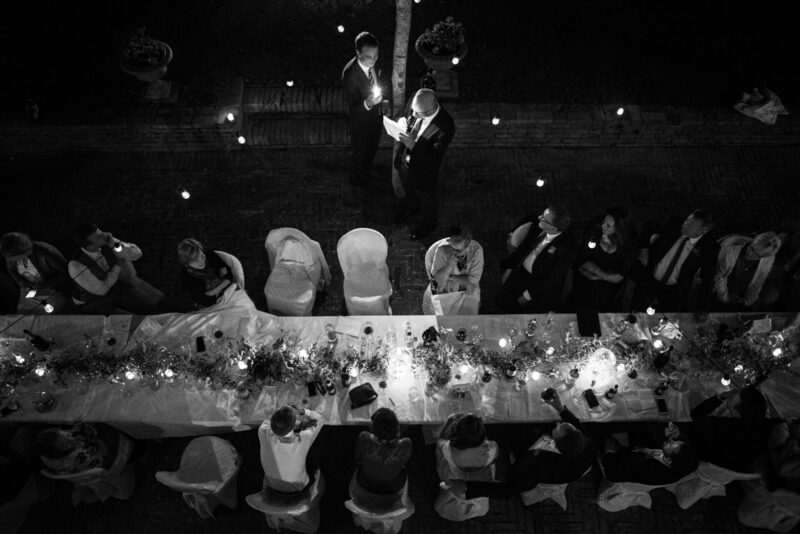 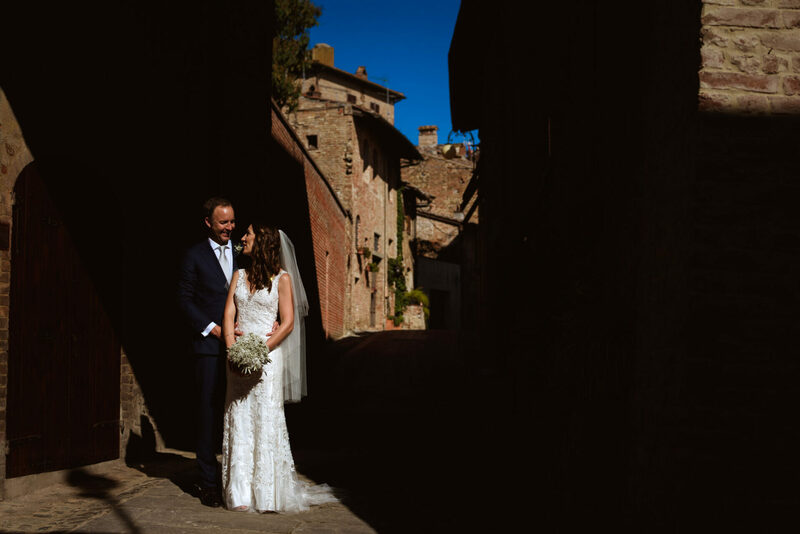 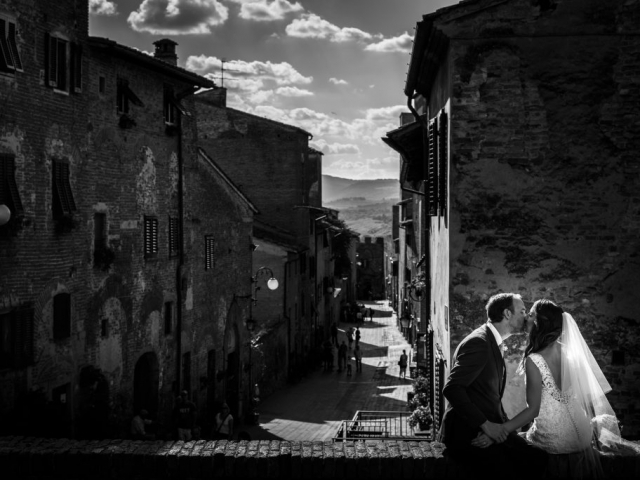 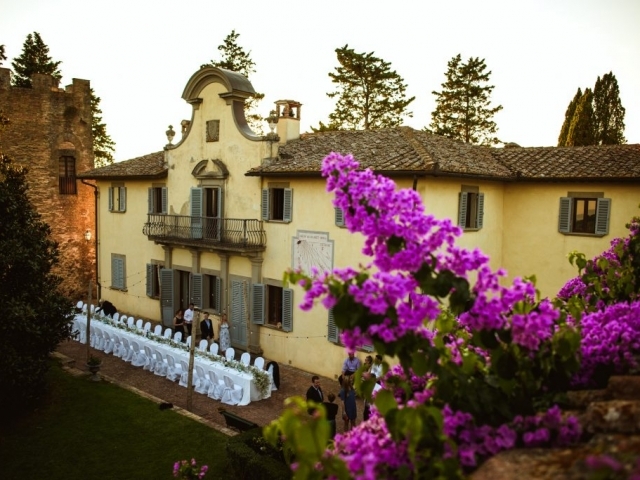 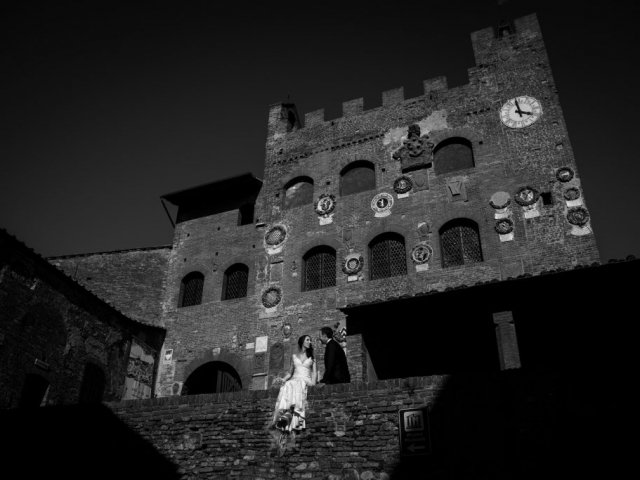 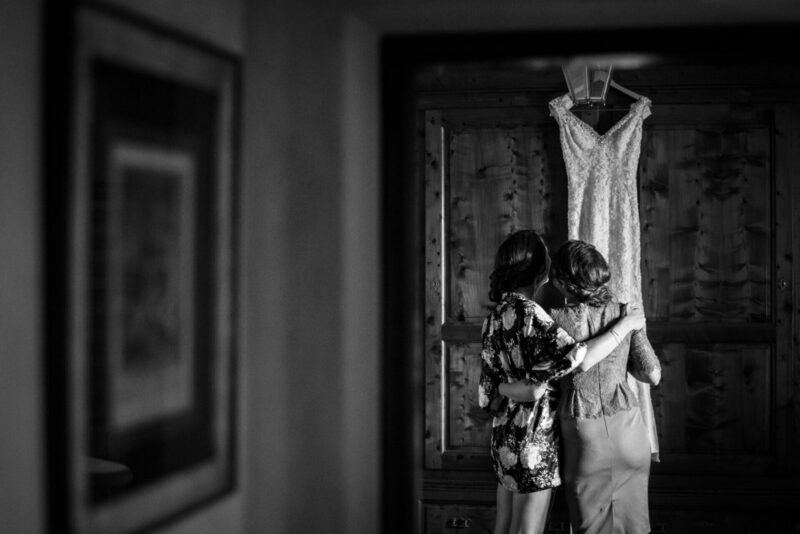 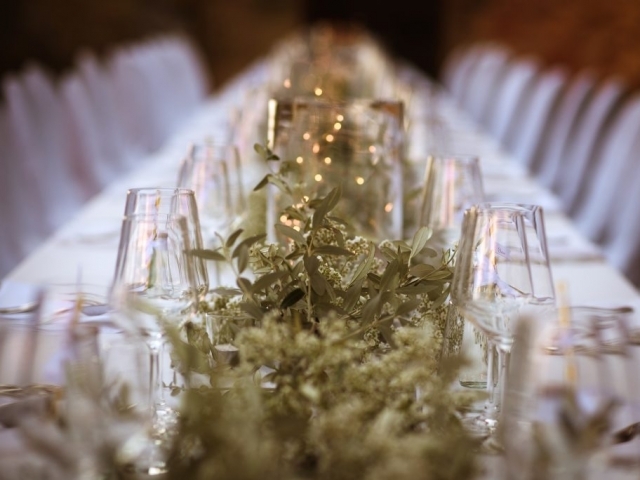 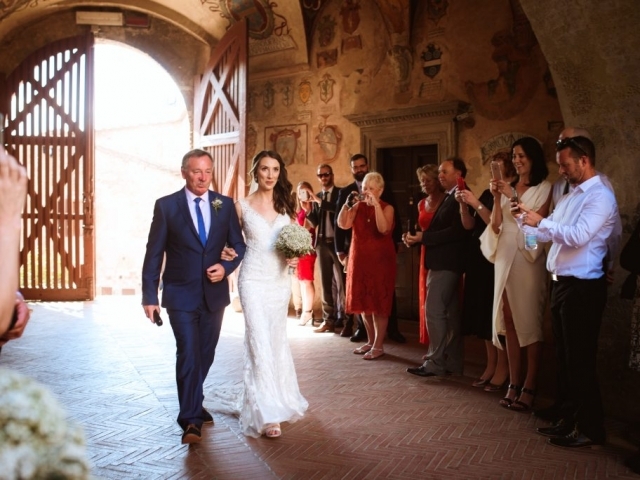 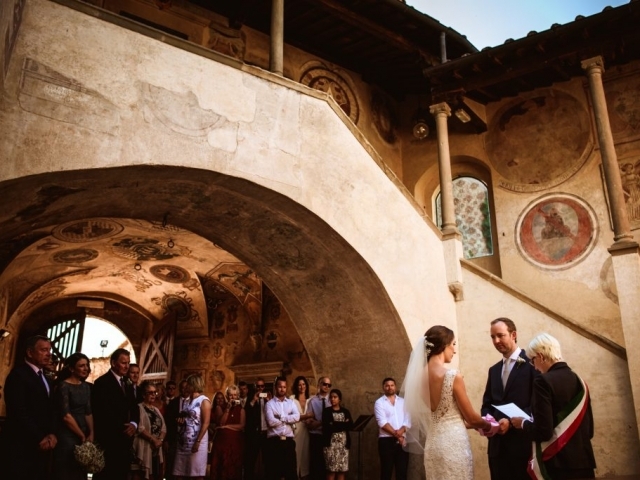 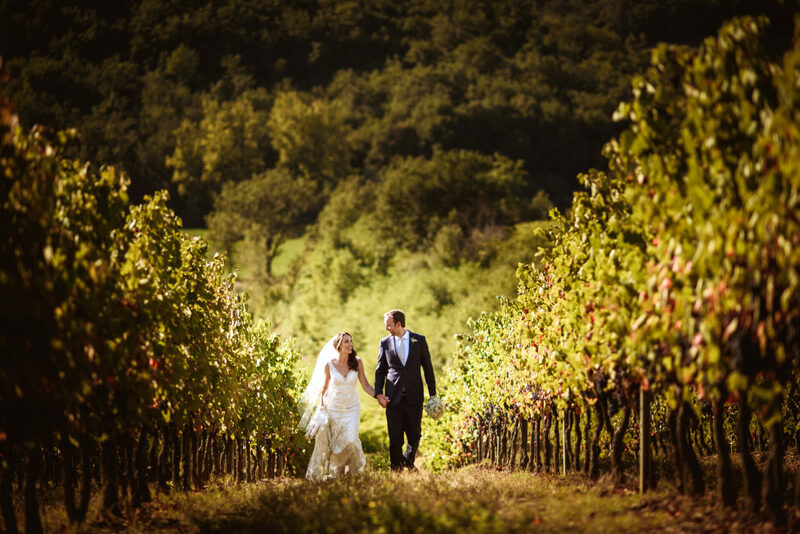 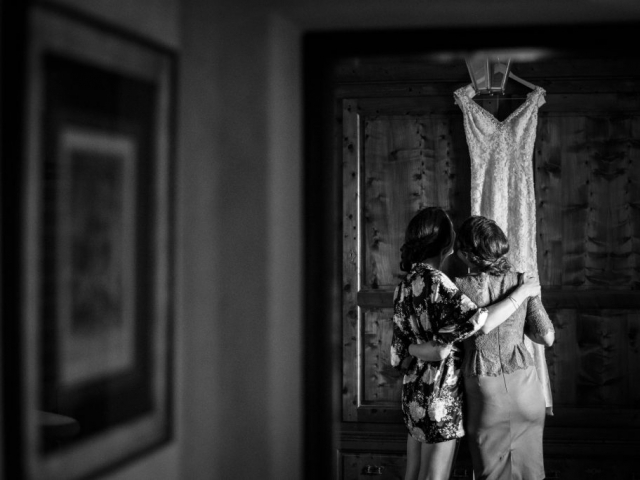 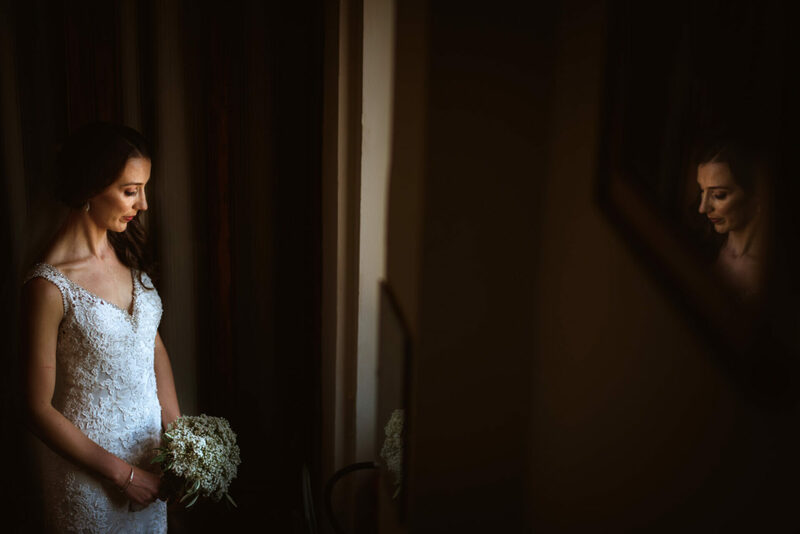 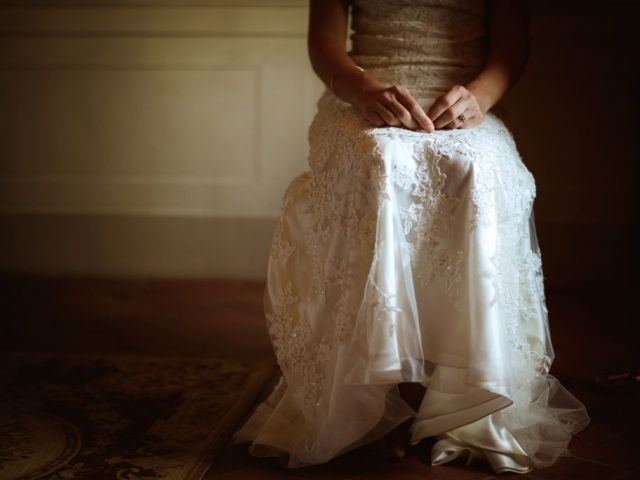 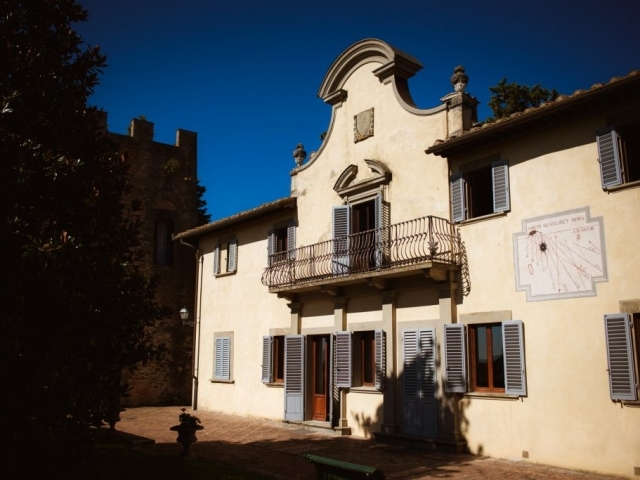 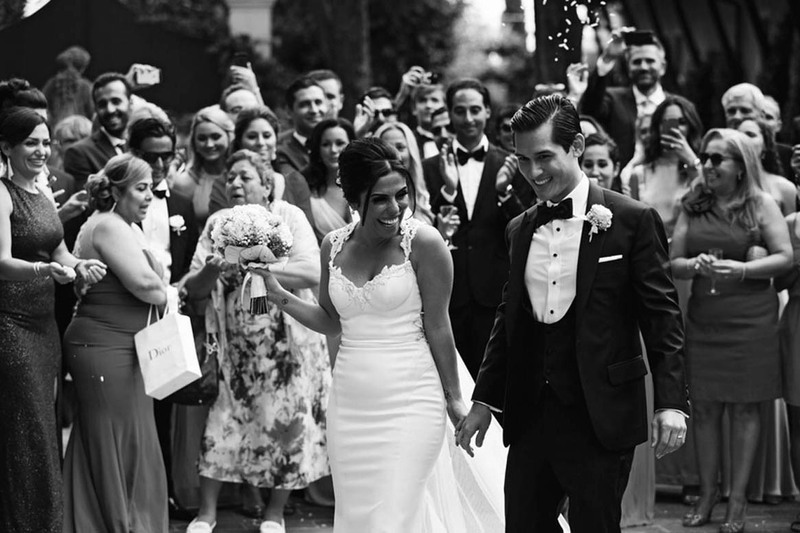 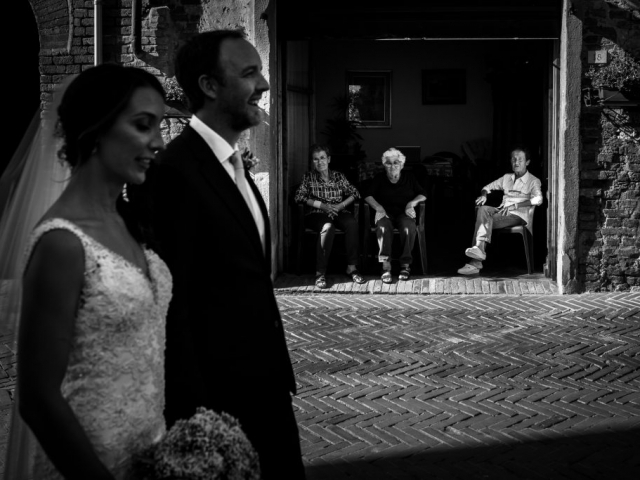 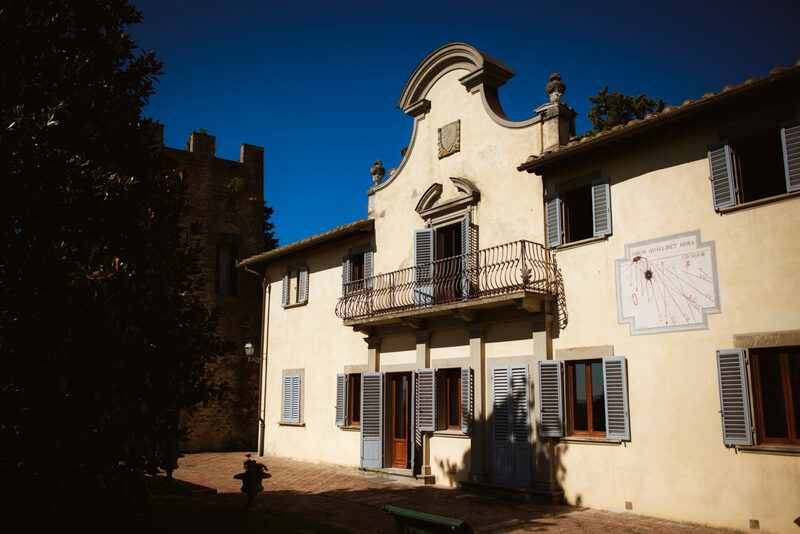 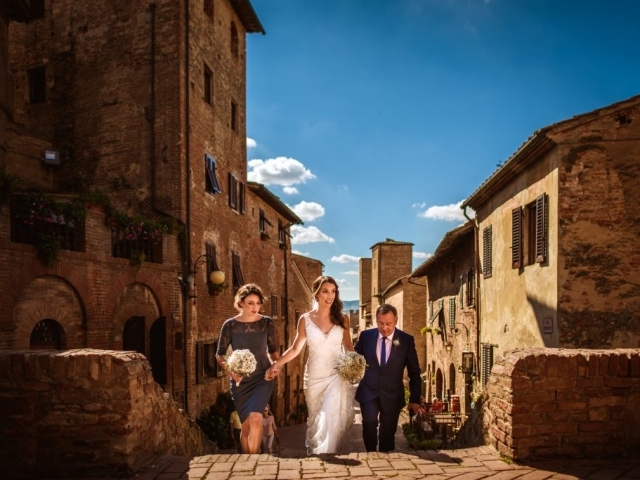 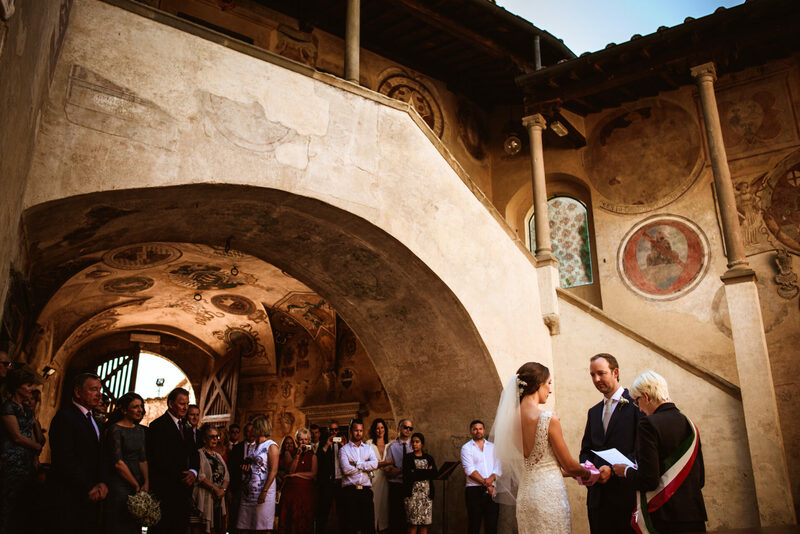 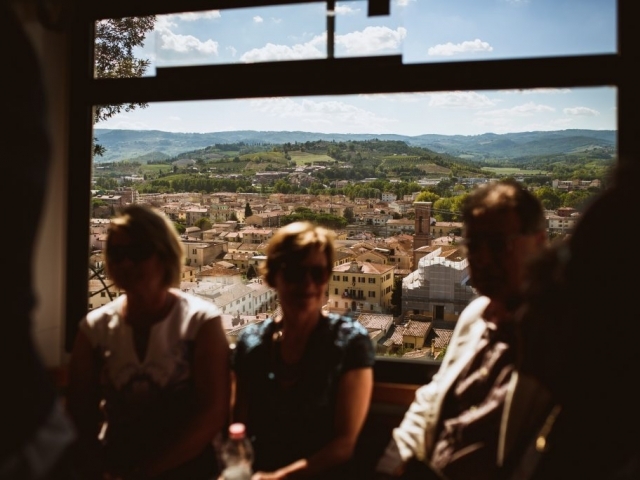 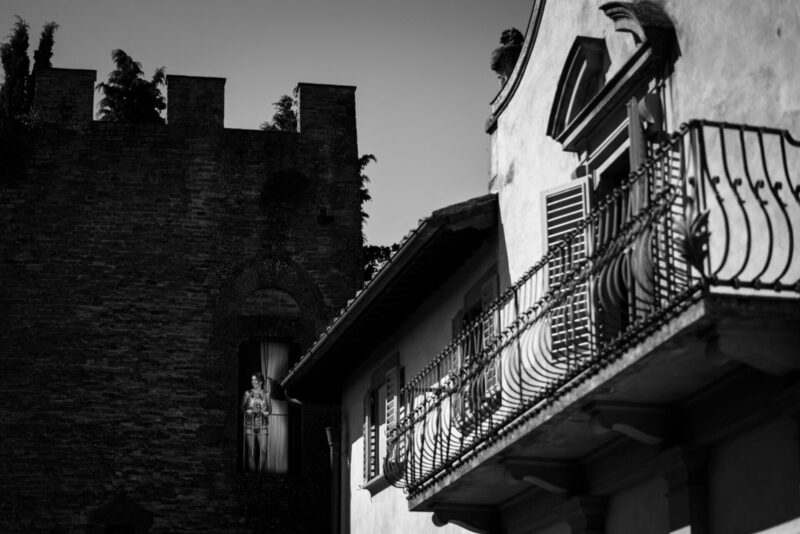 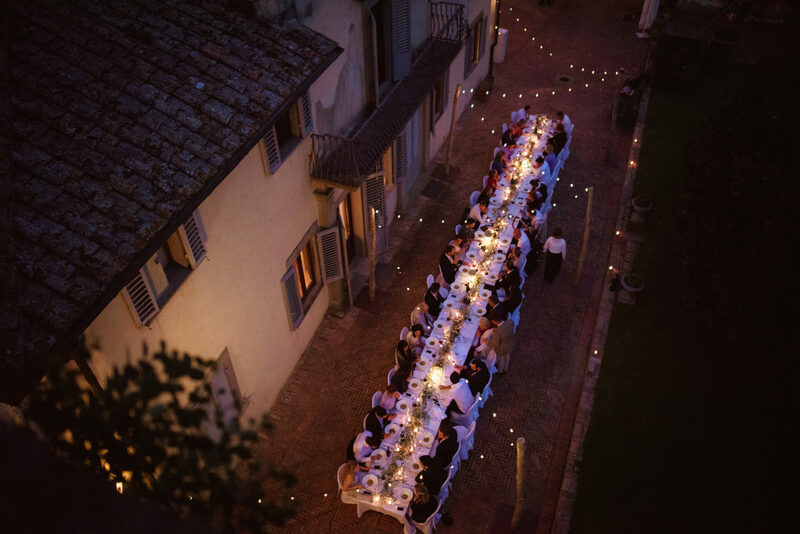 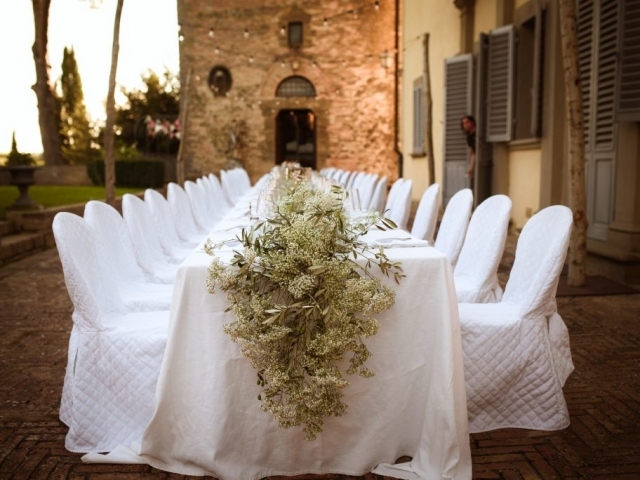 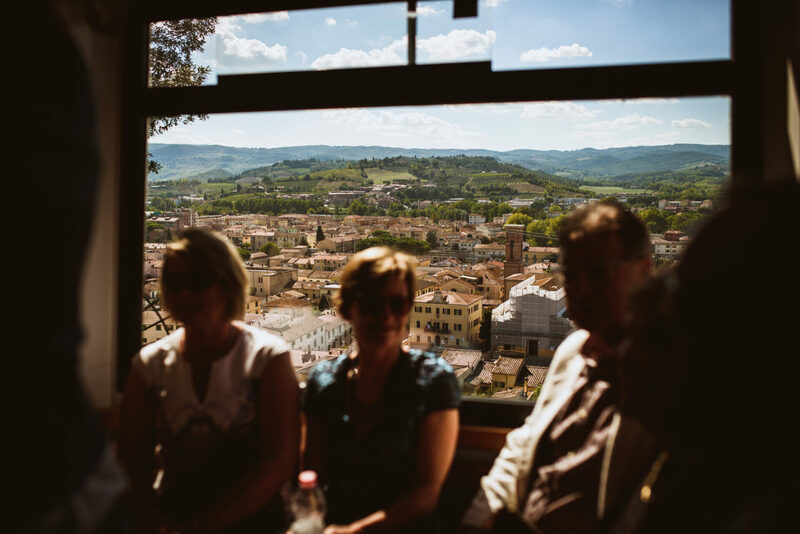 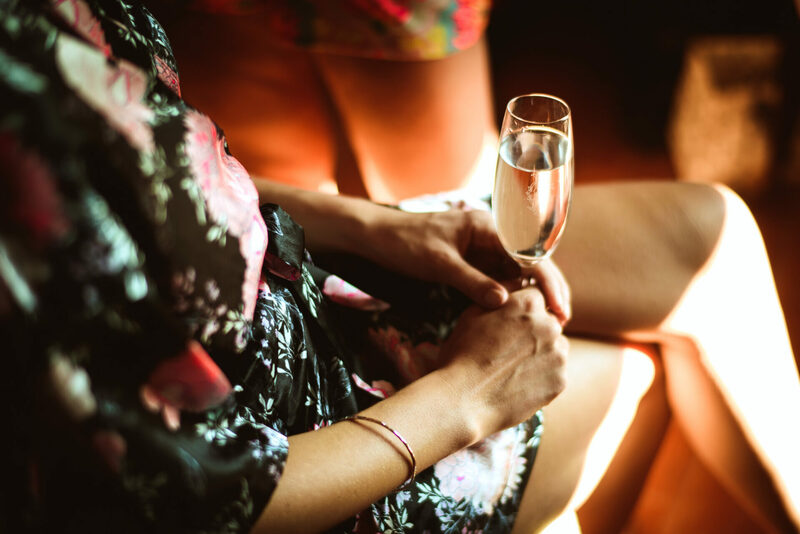 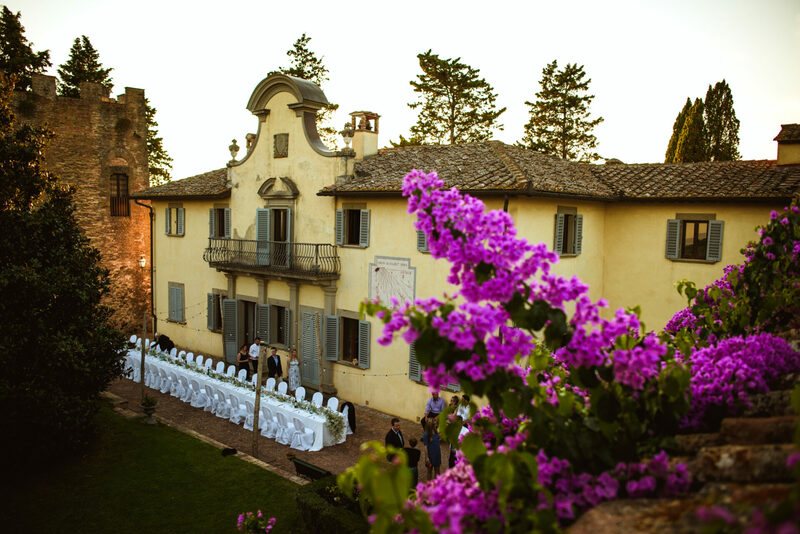 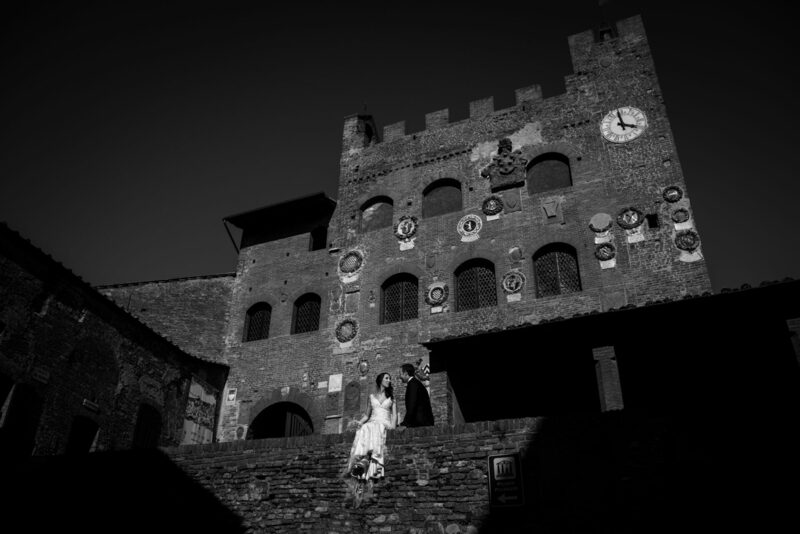 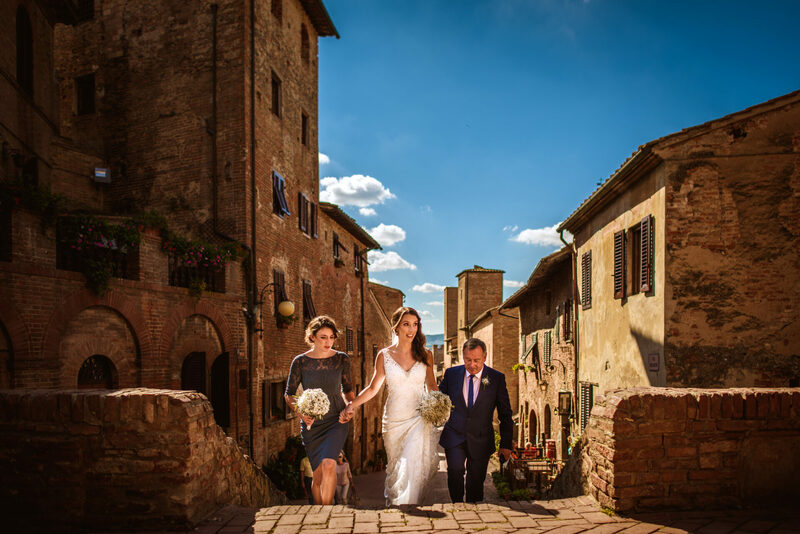 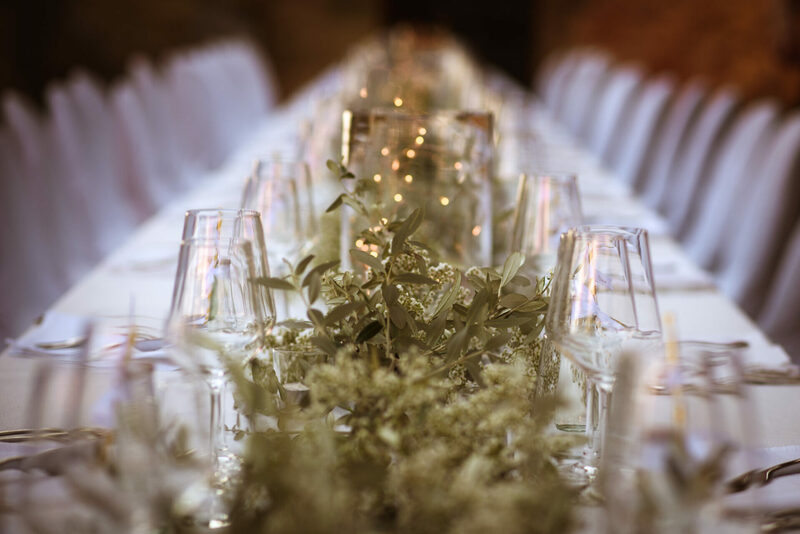 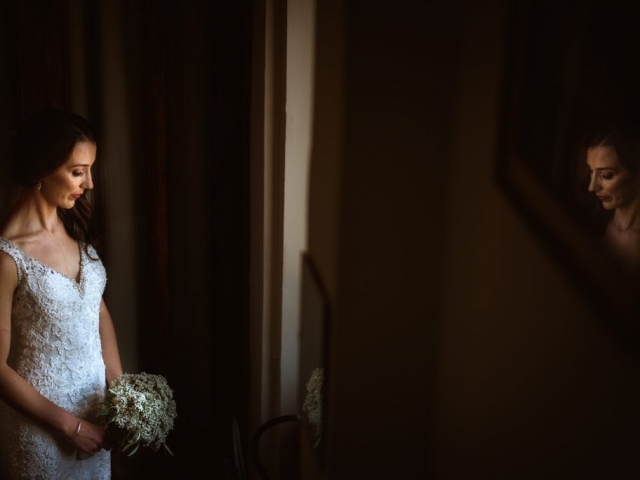 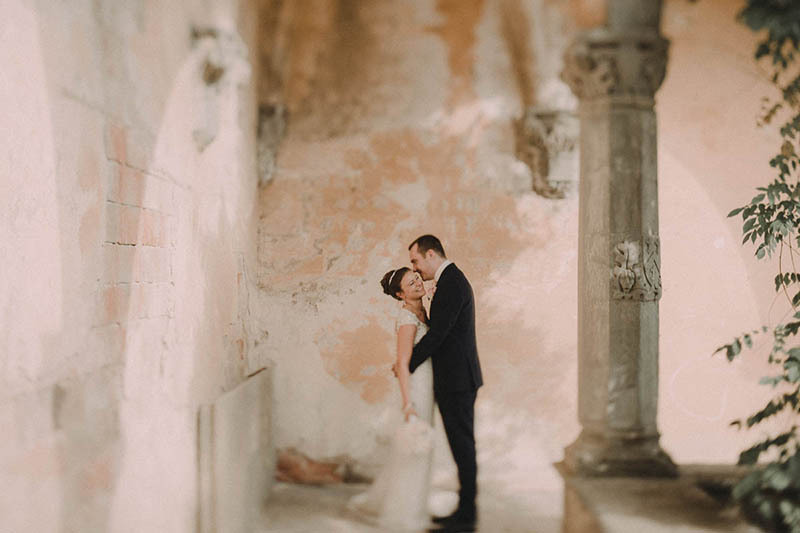 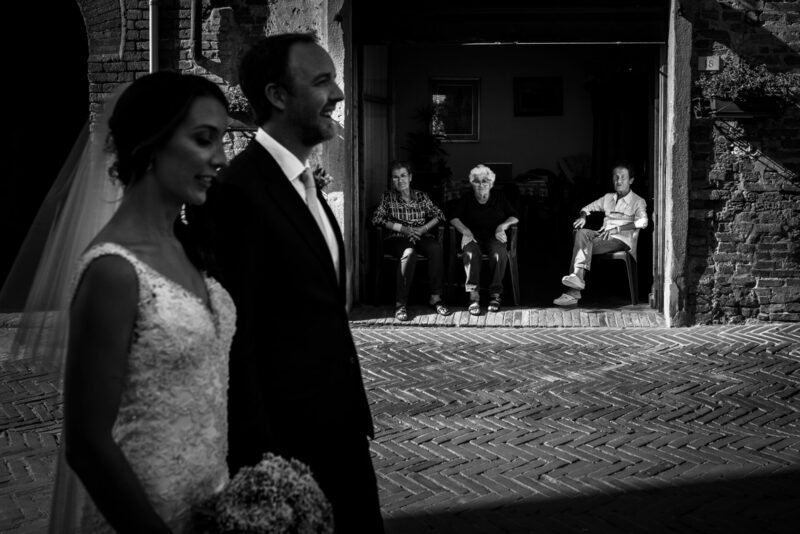 After a very relaxed getting ready moment at the Castello, all guests have been transferred to the amazing Certaldo medieval village where we held a soulful ceremony in the Cloister of the City Hall. 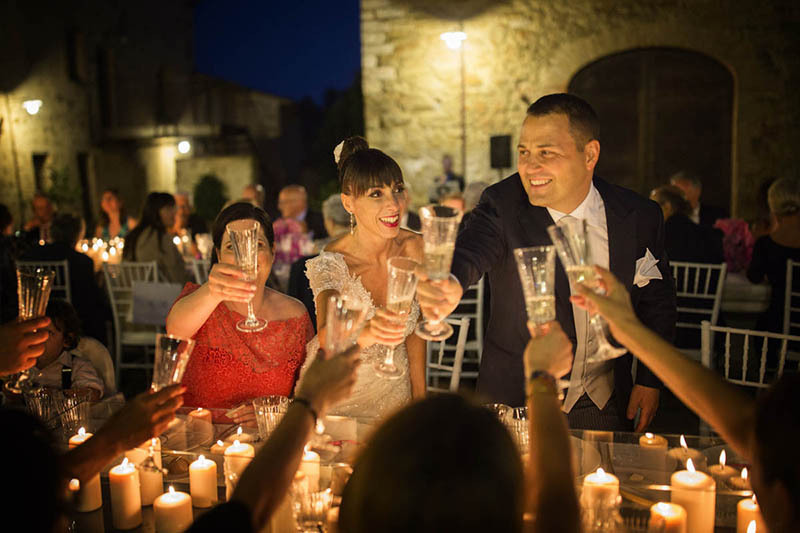 A good aperitivo afterwards to rest after so many emotions and to give time to the couple to enjoy the village with some good memory photos shot around the so famous streets with locals toasting with their vino to the newly wed.
Back to the Castle, we had a rich aperitifs and antipasti served in the panoramic garden of the venue, the dinner served in the court was gladdened as a surprise to the bride from her mother in law with an opera singer who has dedicated the couple a moving Ave Maria and a joyful Brindiamo a Capella. 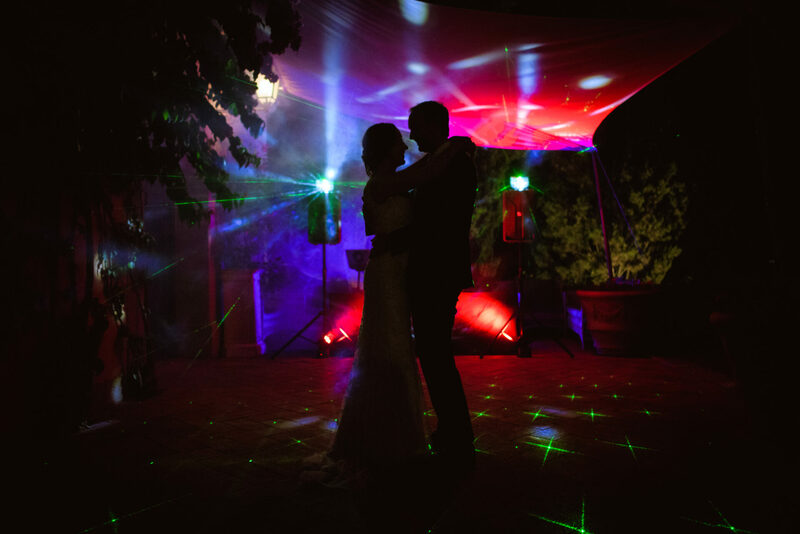 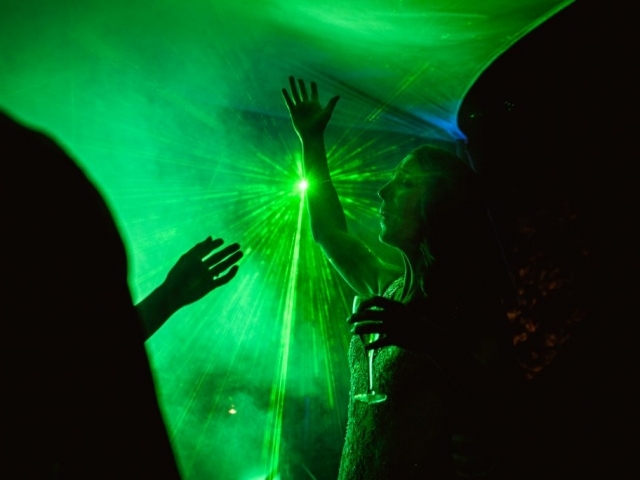 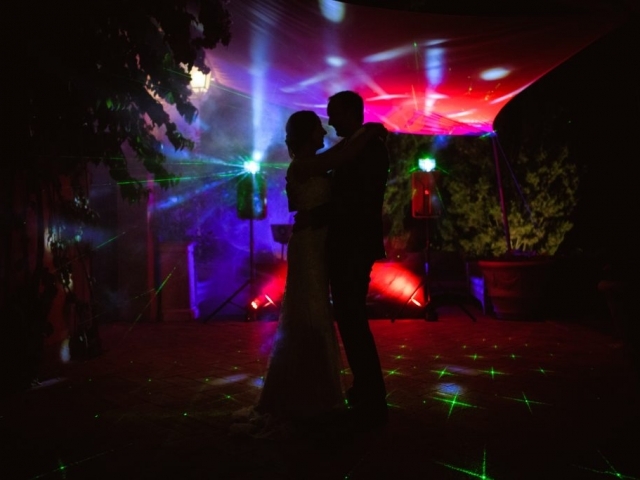 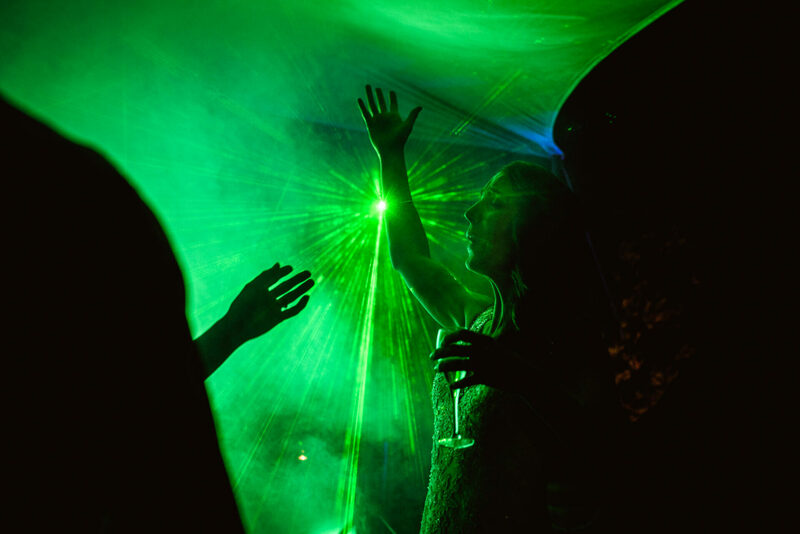 The night danced away with the Dj and his glamours lights, with a gelato Ape car to refresh the hot summer season and with the promise to be back soon in such a wonderful piece of Tuscany.